This week a new women’s accessory line, Pink Pewter, made its debut on our New Arrivals page at gliks.com. This fashion forward hair and jewelry accessory line for women offers absolutely stunning high-fashion accessories that are both fun, edgy, and versatile enough to be used in a wide range of looks. Accentuate any outfit effortlessly with an embellished, stretch headband from Pink Pewter, or completely switch up your whole entire look. Pink Pewter’s founder, Mireya Villarreal, created this brand with one, clear-cut ambition. As a creative hairstylist herself, she wanted to create an accessory line that would not only transform old ‘looks’, but at the same time revitalize old hairstyles by keeping them in pace with modern trends. As a stylist, Mireya has worked in the beauty industry for runway and for international performing artists. She was able to gain a unique perspective into the flow of trends throughout her time spent traveling, which in turn allowed her direction on developing her own line of chic accessories that are designed to compliment a wide variety of looks and personalities. Pink Pewter started as a small collection of headbands and clips. Now it has grown into a full line of accessories and jewelry products that are diligently kept up-to-date with the hottest fabrics, colors, cuts, and materials. Each design that Pink Pewter produces in its collection is unique as well as stunning. Check out this great brand video that Pink Pewter did for their YouTube channel! Pink Pewter has a ton of great tutorial videos on their YouTube channel that show you how to create just the right ‘look’ using their embellished, stretch headbands. You can see Pink Pewter being worn by one of its biggest (not forgetting to mention famous) fan, Carrie Underwood! We’re so excited to share the Pink Pewter women’s hair accessory with you at gliks.com. Stop by any one of our listed local store locations if you’re interested in trying this trendy, embellished headband on! Denim cutoffs are fundamental during the warmer months of summer and for good reason too! No matter what your personal style, this summer wardrobe essential is versatile enough to go from casual to chic in minutes. I’m a HUGE fan of cutoffs, so much so that I have a whole drawer solely dedicated to my collection of both branded, vintage and DIY denim shorts. When I’m not dressed for work, I’m mixing and matching outfits around my denim cutoffs. Whether paired with fancy tops or preppy tees and boho camis, these classic denim shorts are always my go-to for summer! I’ve been scouring the Internet for inspiration on how to style my cutoffs this summer, and here are a few of my favorite outfits. Enjoy! 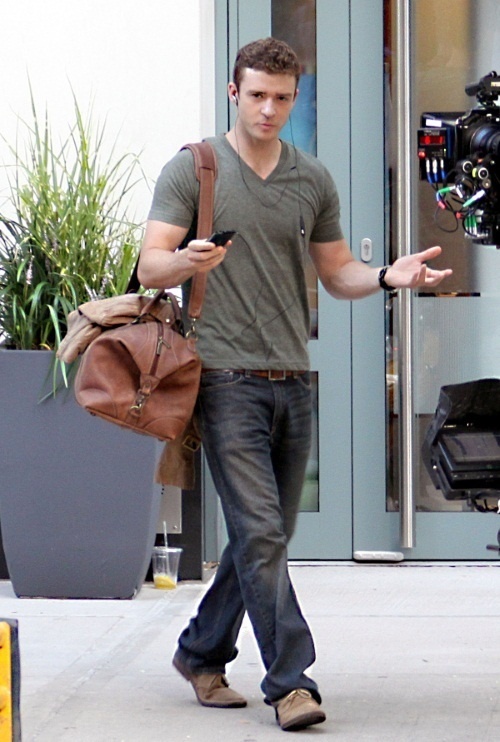 People StyleWatch: always my first go-to for inspiration. I love all of these looks! mixes up her “look” with an outfit that is the perfect balance of preppy and cool. You can try to recreate her ensemble by pairing your denim cutoffs with a basic tee, and for a classic take on a normally casual look opt for a tailored blazer. I have to admit that I’m currently suffering from cutoff inspiration overload, and can’t wait to slip into to my favorite denim shorts ASAP! Is it 5pm yet? Unfortunately, it is not. Until then, I wanted to share my personal outfit inspiration with you. You can find this high-waisted cutoff denim short here. Are you a fan of cutoffs? I want to know how you would wear your denim shorts! Check us out on Instagram, Pinterest, and Twitter by following @GlikClick. Share your cutoff outfits by tagging @GlikClick and using the hashtag #glikstyle. You can also find Glik’s on Facebook, so join the fun and let’s be friends! Fashion starts oh-so simply with an idea. In 1999, that idea was a fashion line geared toward the feminine, as well as, free-spirited twenty-something girl, and it was called Lucy Love. This family owned line found its roots in Newport Beach, California and remains there today. Lucy Love is owned and operated by the Sharp family, who has had their hands in the fashion industry since the early 1980’s. Fashion designer and mother, Holly Sharp took her years of knowledge in the fashion world and teamed up with her daughter, Amber to create a line “by girls, for girls”. Lucy Love is for that girl who passionately lives her free- spirited lifestyle surrounding the beach, who doesn’t just dress for a day on the sand at the water’s edge. Lucy Love is a line that is designed to give girls confidence, it’s important to have that in ourselves ladies! What we choose to wear plays a HUGE role in the way we feel about ourselves, more often than not, what and how we wear our clothing conveys our very mood. There are many tools used in fashion. But, the most important tool it possesses is the illusion it gives! The mother/daughter designer team that makes up Lucy Love recognizes this. Amber Sharp has admitted that she designs the various pieces that make up a Lucy Love fashion collection to “mirror various moods” for particular days. Her approach to designing Lucy Love clothing allows for each different fashion piece to “embody and empower” every girl’s mood, cool right? If you’re feeling light-hearted slip into something like the ultra feminine, flirty striped Gabriel dress from Lucy Love. This SUPER chic dress is as unique as you are! Embrace the ocean wind as it tickles your skin through the dainty, sheer material and lifts your heart! Let it play with the delicate layers of this stylish loose flowing dress from Lucy Love. Seize the day in the Gabriel striped dress and a cute pair of strappy sandals. Let your confidence shine as brightly as the sun and hold tight to your rare style in the Lucy Love Villa mini dress. Feel your colorful emotions freely and wear them for the world to see in this belted dress. Each person you meet will taste a different flavor of your colorful personality. Paired with strappy sandals and boho inspired jewelry, the Villa mini dress by Lucy Love, as well as, you are a colorful and daring work of art! The Gabriel dress doesn’t just come in Lucy Love’s uniquely striped design. It’s colors range like your style. Going for a 60’s vintage look? Try the Lucy Love Gabriel dress in white. You’re a free-spirited soul, born of the wind and wearing your heart where your head should be. Fly with confidence, little lady dove, letting the chiffon layers and billowing 3/4 sleeves of the Gabriel dress be your wings. Have peace in your mind and love in your heart for all who you come in contact with when you wear this ethereal white dress from Lucy Love. Your kind heart will be full of warmth and you will glow in this dress when you pair it with a dainty pair of sandals or espadrille detailed platform wedges and delicate jewelry. Let your personality blossom like a spring flower in this elegant Vineyard dress by Lucy Love. You are a vibrant and vivacious flower whose charisma smells as sweet as the dainty roses you are wearing. Your graceful steps down the beach will turn heads and lift hearts when you pass by wearing the floral print Lucy Love dress. The Vineyard dress’s exaggerated high-low hem ruffles softly around your sun-kissed legs and your elasticized waist with adjustable self-tie creates a lovely blouson silhouette that flows as freely as your soul when the sea breeze licks by you. Pair this exquisite chiffon dress with a cute pair of sandals or spring inspired wedges and let your aura glimmer like dew drops on a flower’s petal in the sunlight. Lucy Love doesn’t just create feminine, flirty, as well as, classically chic dresses. Their line ranges from undergarments to accessories, touching on every item a girl’s heart could possibly desire. Here at Glik’s, fashion is our passion and we strive to provide clothing that makes your unique, one of a kind personality shine! For more Lucy Love, as well as, other chic fun fashions, please visit us at gliks.com or any of the Glik’s store locations nearest to you! As Seen In: Look For Less! We LOVED the spread ALIVE Magazine put together in their August 2011 issue! Of course bold colored jeggings and jeans are SUPER hot right now! 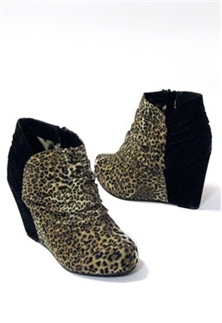 Pair those with a Navajo-inspired Crop Top and you are a definite trend-setter! Shop in stores and at www.gliks.com for THIS LOOK & MORE! Wildfox Pocahontas Crop Top $64, Wildfox Red Denim Leggings $182. Feathers are everywhere! From earrings to necklaces to headbands, fashionistas are loving this trend. 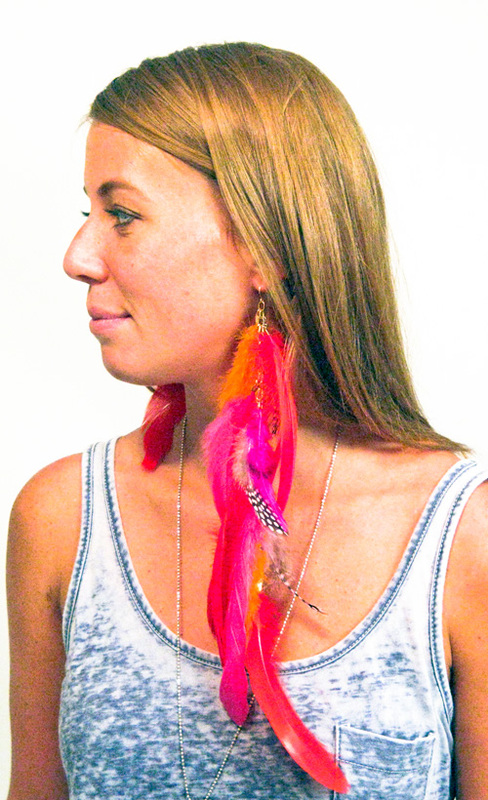 Bright feathers are great for Summer and add a lot to a simple outfit. For Fall, feathers in more subdued colors are the way to go for a BoHo chic look. Feather accessories are a great way to add a touch of personal flair to any outfit. 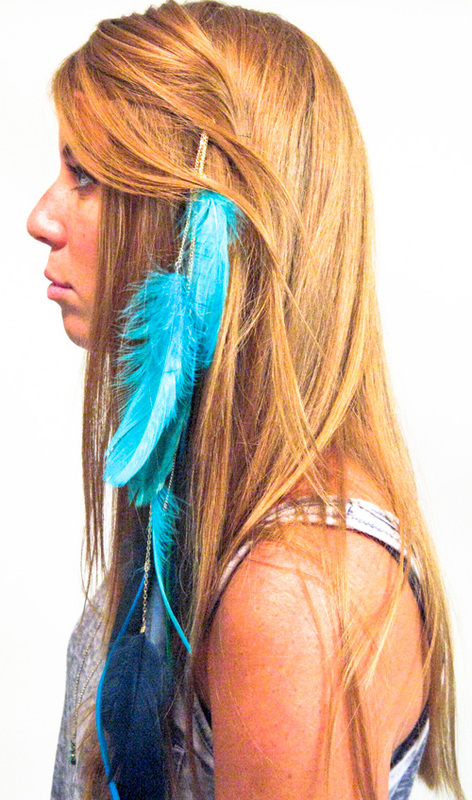 Check out the pictures of celebs below for ideas on how to style your feather accessories, now available at www.gliks.com and in select Glik’s stores! These feather accessories are now available on our online store. Head in to select stores for more colors and styles. We love Heidi Klum and her fabulous style. She is featured on the cover of Glamour magazine this month wearing a shimmering tank covered in gold sparkles. This particular tank is by Stella McCartney, making it a bit out of the price range of the average girl. Love this look but can’t afford it? We have a similar tank for a lot cheaper! The tank below is by Almost Famous and is available in select Glik’s stores for only $18! This tank is one of our best sellers, so get it now while you can. Last week was the Top 12 performances of “So You Think You Can Dance?” on Fox. Clarice and Jess blew us away with their show stopping performance to “Just the Way You Are” by Bruno Mars. Clarice can’t just dance, she has great style as well. 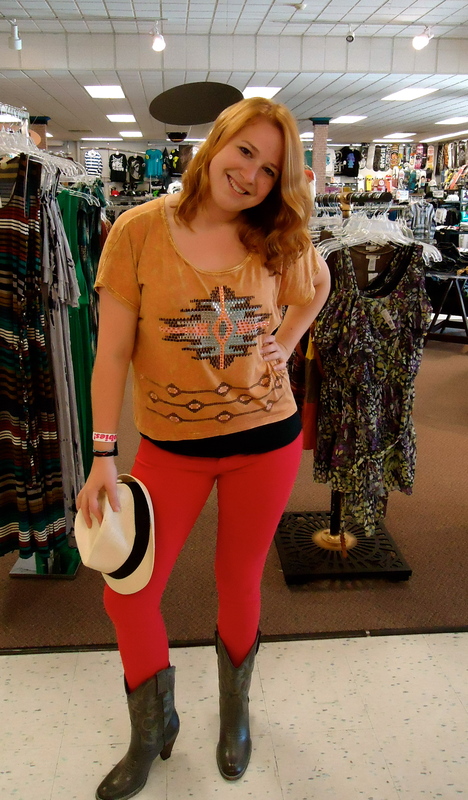 Check out the tribal top she is wearing layered over a fab red tank for a pop of color. Don’t you love it? We carry it! It is the Freeloader Tribal Fringe Side Top and is available in select Glik’s stores as well as here at gliks.com. Levi’s is a hot denim brand, not just at Glik’s, but in Hollywood as well. Levi’s has many different styles and colors, so you’re sure to find the perfect pair for you, no matter what your style is. These celebs show the many different ways to wear Levi’s. Find your style at one of our Glik’s locations.